I'm a big fan of pre-made spice mixes, but what I'm not a fan of is all of the nasty additives like stabilizers and anti-clumping agents found in the store-bought kinds. It's really easy to put together your own spice mixes at home and if you can buy your spices in bulk at BJ's or Costco, it ends up being more cost efficient anyway! I plan on getting more spice mixes on here soon because they can really pull a dish together with very little effort and make meals more exciting! 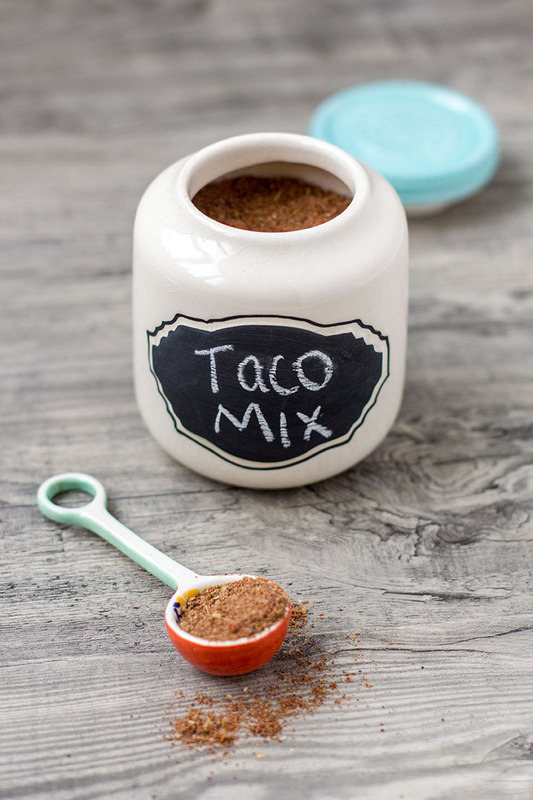 I obviously had to work on a taco seasoning mix first––since I'm Mexican food obsessed, and these flavors are definitely my favorite! Combine all ingredients in a medium sized mason jar, shut the lid tightly and shake well to combine all spices. Shake the container well before measuring out the seasoning for any recipes and enjoy!